Need slightly ghoulish, slightly cartoonish sugar cubes that aren’t cubes? 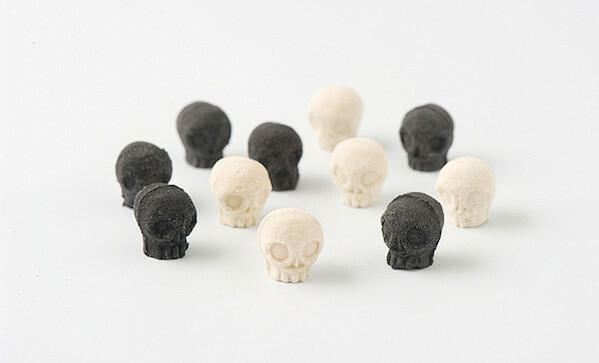 Here you go: wasanbon ($23) skulls make of Japanese sugar. We’re told it’s fine-grained sugar from a special traditional prefecture or whatever, as many premium Japanese things tend to be. You get nine white skulls and nine black ones—the black ones have been coloured with bamboo charcoal.